I taught US Government for many years. And in that course, I touched on every 3rd rail of American politics – race, gender, class, abortion, gun rights, Social Security, etc. Literally every controversial subject possible came up in my class. I expected outraged parent phone calls every day. Luckily, they were few and far between! So, when the College Board decided to redesign the AP US Government & Politics course, I got nervous. If you’ve been paying attention to AP, you will remember there were major changes to AP US History a few years back that caused a kerfuffle. And don’t get me started on the anger around the new proposed changes to AP World History. Talk about controversy! So, it’s been a quiet introduction for the new AP US Government & Politics course. Why so quiet? Because it’s more of an upgrade than a complete makeover. And that’s just fine with me. My major problem with the old curriculum was its vagueness. It simply gave broad knowledge that students needed to know, but few specifics. What this meant in practice was that the course could vary widely from school to school. While I appreciated the flexibility, it could be a problem when it came time for the exam. In the new AP US Government, the College Board is trying to balance that flexibility with more specific standards. And I think they’ve done a good job. They selected 5 big ideas and linked the content to those big ideas. Teachers still have the flexibility to focus on different cases or situations. Also, the new standards make it easier for teachers to tie the content to their own state standards and lesson objectives. The new redesign lists exactly which founding documents the student should read and must know. It also lists the required court cases!!! The old curriculum barely mentioned cases, but every few years a new case would show up on the exam. By the time I left teaching, my students had to memorize at least 40-45 different court cases. Yikes! 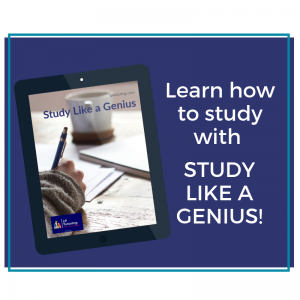 The new curriculum lays out exactly which cases students must know for the exam – and there are only 20. Yes to that! On a side note, the College Board worked with National Constitution Center on lesson plans and activities. Sadly, I was not as impressed with those. Khan Academy, which partners with the College Board, has also updated their AP US Government & Politics course. You can read my review of Khan Academy Practice here. 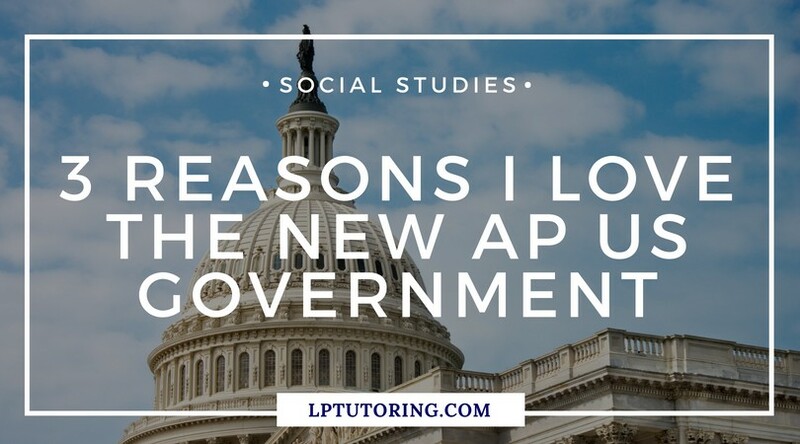 Just as revisions to the AP US History and AP World in the last few years zeroed in on skills, so does this new version of AP Government. AP Government has always been more focused on skills such as analyzing political cartoons and reading data. The new course double-downs on those skills and adds a few more, including reasoning, causation, and comparison. One of the nice parts are the specific examples they provide. For causation, they mention that students would need to be able to “Identify some effects of the expanded powers of the president.” That gives me a concrete understanding of what my students will need to to do. Yay for examples! Massive changes to AP US and AP World History exams in the last 5 years created a lot of anxiety for teachers and students, especially during the first year. There were never enough new practice questions to practice on and no one really knew how to teach or answer the questions best. Luckily, the changes to the new AP US Government exam are not as far-reaching. The format is staying the same, as is the length and grading. However, there are changes to the types of questions. There will be more stimulus based questions. As AP US and AP World History both transitioned to all-stimulus based questions, this one is not a surprise. Based on the released practice questions, about half of multiple-choice questions will be stimulus based. Think short reading passages, graphs, political cartoons, etc. In the past, there were 4 free response questions on the exam. I usually told students that the questions could be about anything. Anything. There would probably be one on a court case and one including some sort of political cartoon or graph. Other than that, we had no idea. The new exam will still have 4 free response questions, but the College Board detailed what will be asked in each question. 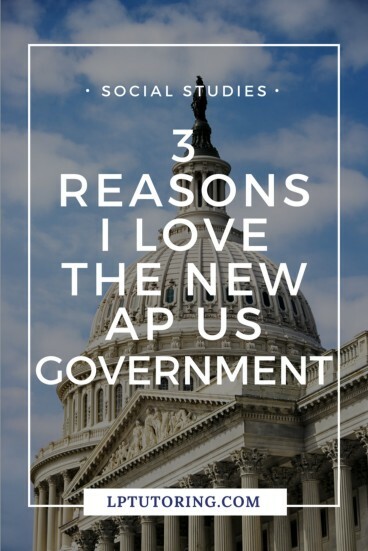 Overall, I am happy with the new AP US Government & Politics. 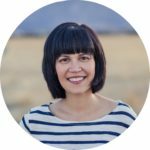 I think the new course makes it easier for teachers to know what to teach and prepare students with the content and skills to be successful on the exam. 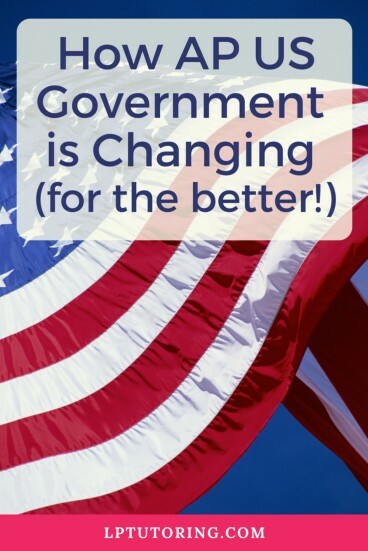 What do you think of the redesigned AP US Government and Politics course? Let me know in the comments below!